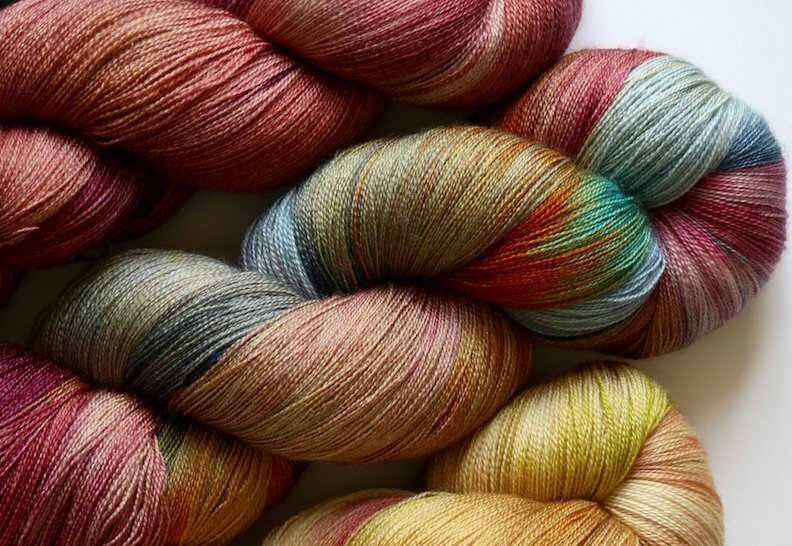 New hand dyed sock yarn in stock now. 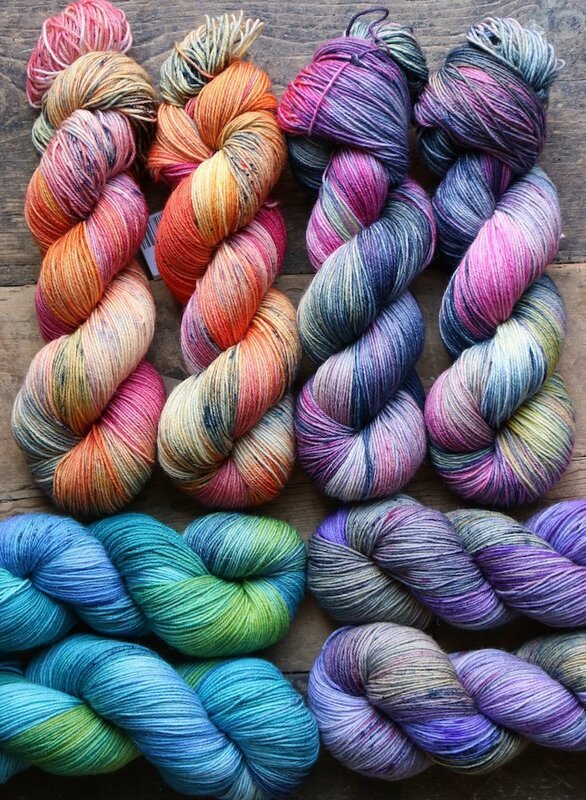 I have 10 new colourways of our Merino Sock Yarn “Gemini” dyed and a new sock yarn “KOOKY”, which is a Bluefaced Leicester & Nylon blend. 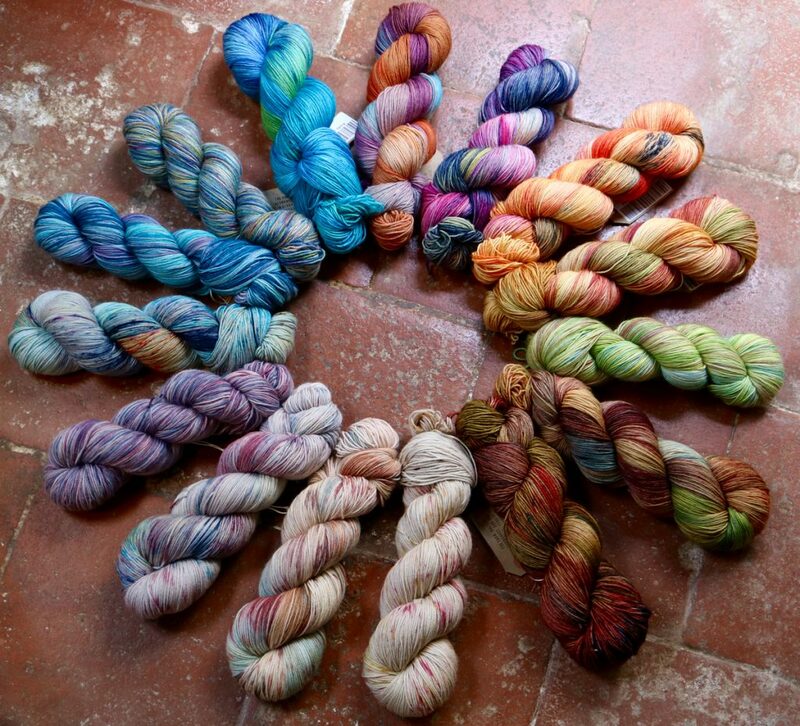 Also 3 new lace weight hand dyed yarns are complete.